We've compiled a list of frequently asked research questions below. If you don't see the question and answer you're looking for, submit a research question, and Museum staff will get back to you. Can you help me find a particular quotation I saw at the Museum? How did the Museum come to be, and what are significant dates in its history? Who are the current members of the United States Holocaust Memorial Museum Council? Who has served as the Museum’s director? How long did it take to build the Museum? How much did it cost? How big is the Museum? How can I find out more about the Museum, including its history, architecture, and exhibitions? How many people have visited the Museum? What is the story behind the Children’s Tile Wall? Who said “Thou shall not be a perpetrator; thou shall not be a victim; and thou shall never be a bystander”? I would like to donate artifacts or books to the Museum. What do I need to do? Can I come to the Museum to do my own research? 1. Can you help me find a particular quotation I saw at the Museum? What have you done? Hark, thy brother’s blood cries out to me from the ground! Only guard yourself and guard your soul carefully, lest you forget the things your eyes saw, and lest these things depart your heart all the days of your life, and you shall make them known to your children, and to your children’s children. I call heaven and earth to witness this day: I have put before you life and death, blessing and curse. Choose life—that you and your offspring shall live. Here we will learn that each of us bears responsibility for our actions and for our failure to act. Here we will learn that we must intervene when we see evil arise. Here we will learn more about the moral compass by which we navigate our lives and by which countries will navigate the future. Out of our memory...of the Holocaust we must forge an unshakable oath with all civilized people that never again will the world stand silent, never again will the world...fail to act in time to prevent this terrible crime of genocide....we must harness the outrage of our own memories to stamp out oppression wherever it exists. We must understand that human rights and human dignity are indivisible. This museum will touch the life of everyone who enters and leave everyone forever changed—a place of deep sadness and a sanctuary of bright hope; an ally of education against ignorance, of humility against arrogance, an investment in a secure future against whatever insanity lurks ahead. If this museum can mobilize morality, then those who have perished will thereby gain a measure of immortality. A desire for knowledge for its own sake, a love of justice that borders on fanaticism, and a striving for personal independence—these are aspects of the Jewish people’s tradition that allow me to regard my belonging to it as a gift of great fortune. Those who today rage against the ideals of reason and individual freedom and who seek by means of brutal force to bring about a vapid state-slavery are justified in perceiving us as their implacable enemies. History has imposed on us a difficult struggle; but so long as we remain devoted servants of truth, justice, and freedom, we will not only persist as the oldest of living peoples, but will also continue as before to achieve, through productive labor, works that contribute to the ennoblement of humanity. I herewith commission you to carry out all preparations with regard to...a total solution of the Jewish question in those territories of Europe which are under German influence...I furthermore charge you to submit to me as soon as possible a draft showing the...measures already taken for the execution of the intended final solution of the Jewish question. We are recording the individual characteristics of every single member of the nation onto a little card....We are proud that we can contribute to such a task, a task that provides the physician of our German body politic with the material [he needs] for his examination, so that our physician can determine whether, from the standpoint of the nation’s health, the data thus arrived at correlate in a harmonious, that is, healthy, relationship—or whether diseased conditions must be cured by corrective interventions....We have firm confidence in our physician and will follow his orders blindly, for we know that he will lead our nation toward a great future. Heil to our German people and their leader! Where books are burned, in the end people will be burned. The great mass of the people...will more easily fall victim to a big lie than to a small one. Today I will once more be a prophet: if the international Jewish financiers in and outside Europe should succeed in plunging the nations once more into a world war, then the result will not be the Bolshevizing of the earth, and thus the victory of Jewry, but the annihilation of the Jewish race in Europe! I have issued the command—and I’ll have anybody who utters but one word of criticism executed by firing squad—that our war aim does not consist of reaching certain lines, but in the physical destruction of the enemy. Accordingly, I have placed my death-head formations in readiness—for the present only in the East—with orders to them to send to death mercilessly and without compassion, men, women, and children of Polish derivation and language. Only thus shall we gain the living space (Lebensraum) which we need. Who, after all, speaks today of the annihilation of the Armenians? –Adolf Hitler, Obersalzberg, August 22, 1939, speech delivered by Hitler to the Supreme Commanders and Commanding Generals; as stated by Former Bureau Chief of the Associated Press in Berlin, Louis Lochner, in his book What About Germany? (New York: Dodd, Mead, & Company, 1942), p. 2. This particular language does not appear in any of the other primary source accounts of Hitler’s speech. Hitler plans to destroy all the Jews of Europe, and the Jews of Lithuania have been chosen as the first in line. We will not be led like sheep to the slaughter! True, we are weak and defenseless, but the only reply to the murderer is revolt! Brothers! Better to fall as free fighters than to live by the mercy of the murderers. Resist! Resist with your last breath! –Abba Kovner, “A First Attempt to Tell,” in The Holocaust as Historical Experience, edited by Yehuda Bauer and Nathan Rotenstreich (New York: Holmes & Meier Publishers, 1981), p. 81. My number is 174517; we have been baptized, we will carry the tattoo on our left arm until we die. –Primo Levi, Survival in Auschwitz (New York: Summit Books, 1986), p. 27. We who did not go their way owe them this. We must make sure that their deaths have posthumous meaning. We must make sure that from now until the end of days all humankind stares this evil in the face...and only then can we be sure it will never arise again. in the secret fastness of the heart. its beating for honour’s sake. We are the shoes, we are the last witnesses. –From Moses Schulstein’s (Moishe Shulstein’s) poem “I Saw a Mountain,” translated by Beatrice Stadtler and Mindele Wajsman in From Holocaust to New Life, edited by Michael Berenbaum (New York: The American Gathering of Jewish Holocaust Survivors, 1985), p. 121. There are left in Europe 1,500,000 Jews, men, women and children, whom the ordeal has left homeless, hungry, sick, and without assistance. These, too, are victims of the crime for which retribution will be visited upon the guilty. But neither the dictates of justice nor that love of our fellowman which we are bidden to practice will be satisfied until the needs of these sufferers are met. The government of the United States...gives to bigotry no sanction, to persecution no assistance. Never shall I forget those flames which consumed my faith forever. Never shall I forget that nocturnal silence which deprived me, for all eternity, of the desire to live. Never shall I forget those moments which murdered my God and my soul and turned my dreams to dust. Never shall I forget these things, even if I am condemned to live as long as God Himself. Never. –Elie Wiesel, Night (New York: Bantam, 1982), p. 32. The wild grasses rustle over Babi Yar. above the thousand thousand buried here. 2. How did the Musum come to be? What are significant dates in its history? 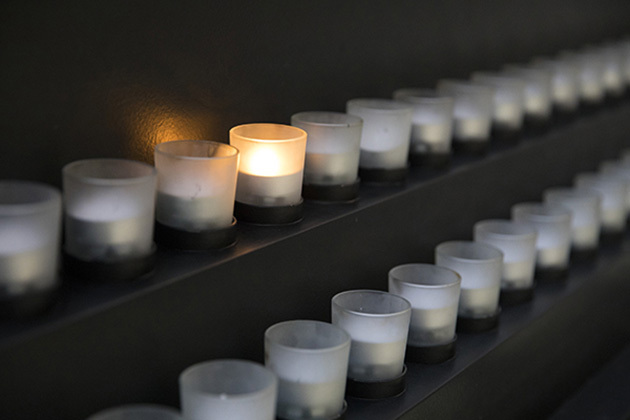 That a national Day of Remembrance of Victims of the Holocaust be established in perpetuity and held annually. In 1980, Congress unanimously passed legislation to establish the United States Holocaust Memorial Council. The Council, which succeeded the President’s Commission on the Holocaust, was charged with carrying out the above recommendations. Elie Wiesel was named the first chairman of the Council and Mark E. Talisman the first vice chairman. 1978, November 1: President Jimmy Carter establishes the President’s Commission on the Holocaust. 1979, April 24: The first Days of Remembrance ceremony is held in the Capitol Rotunda. 1979, September 27: The President’s Commission on the Holocaust submits its report concerning Holocaust remembrance and education in the United States. 1980, October 7: President Carter signs Public Law 96-388, establishing the United States Holocaust Memorial Council. 1985, October 16: Groundbreaking ceremonies take place. 1986, October 8: 15th Street, adjacent to the future Museum entrance, is officially renamed Raoul Wallenberg Place. 1988, October 5: The cornerstone for the Museum is laid. President Reagan speaks at the ceremony. 1989, August 2: Construction of the Museum begins. 1990, April 17: Two milk cans containing soil and ashes from different concentration and extermination camps are buried under the basement level of the Hall of Remembrance. 1993, April 21: A tribute to liberators and rescuers is held at Arlington National Cemetery. 1993, April 22: The Museum is dedicated. Speakers at the ceremony include: William J. Clinton, Chaim Herzog, Harvey Meyerhoff, and Elie Wiesel. 1993, April 26: The Museum opens to the public. His Holiness the Dalai Lama is the first visitor. 1994, June 6: The Museum dedicates the plaza on Raoul Wallenberg Place to General Dwight D. Eisenhower and to the soldiers who fought under his command. 2000, October 12: President Clinton signs Public Law 106-292, granting permanent status for the Museum. 2003, November 1–2: As part of a yearlong celebration of the Museum’s 10th Anniversary, more than 2,200 survivors and their families gather in Washington for the Tribute to Holocaust Survivors: Reunion of a Special Family. 2013: The 20th Anniversary of the Museum is observed with a National Tour and Tribute to Holocaust Survivors and World War II Veterans. 3. Who are the current members of the United States Holocaust Memorial Museum Council? A full list of current members is available on the Council’s webpage. 4. Who has served as Museum director? 5. Who designed and built the Museum? James Ingo Freed, of Pei Cobb Freed & Partners, designed the Museum. Read more about the Museum’s Architecture and Art. 6. How long did it take to build the Museum? How much did it cost? Construction of the US Holocaust Memorial Museum took almost four years, from July 1989 until April 1993. The Museum cost approximately $168 million to build ($90 million for the building’s construction and $78 million for the exhibits). Built on land donated by the federal government and funded with more than 200,000 private donations, the Museum is the result of a strong partnership between the government and private philanthropy. As required by law, all funds for planning, constructing, and equipping the Museum were raised exclusively from private, tax-deductible contributions. 7. How big is the Museum? The Museum is 161 feet wide, 312 feet long, 91 feet tall, and 265,000 square feet in size. The Museum's Permanent Exhibition occupies 36,000 square feet on three floors. 8. How can I find out more about the Museum, including its history, architecture, and exhibitions? 9. How many people have visited the Museum? For the most recent attendance figures, please see the Museum Press Kit. 10. What is the story behind the Children's Tile Wall? In 1990, under the leadership of Adeline Yates, wife of Congressman Sidney R. Yates, a group of Congressional wives and other women formed the Committee to Remember the Children, in honor of the estimated 1.5 million children killed during the Holocaust. They invited thousands of young students throughout the nation to help create this wall of remembrance. Children ages 6 to 16 created more than 3,300 tiles for the wall. The children recorded their impressions of the Holocaust on ceramic tiles that were then combined to create this permanent memorial. The tile wall is located on the Museum’s Lower Level. 11. Who said, "Thou shall not be a perpetrator; thou shall not be a victim; and thou shall never be a bystander"? Variations of the quote have been used in many other contexts and attributed to various people. The quote does not appear on the walls of the United States Holocaust Memorial Museum. The full text of Bauer’s speech to the Bundestag is available on the Israeli Ministry of Foreign Affairs’ website. The quote gained further attention when Professor Bauer included it in a speech delivered at the opening of the Stockholm International Forum on the Holocaust on January, 26, 2000. The forum was attended by major dignitaries and leading figures in the field of Holocaust studies and remembrance and was covered by the international press. More recently, the quote was used in a United Nations discussion paper (external link) issued in connection with the observance of International Holocaust Remembrance Day in January 2006. 12. I would like to donate artifacts or books to the Museum. What do I need to do? People wishing to donate books should contact the Library Reference Desk at reference@ushmm.org. Please include a list of the book or books you would like to donate in your e-mail. To donate family artifacts, personal papers, or other items, please read our instructions on donating to the Museum. 13. Can I come to the Museum to do my own research? Academics, students, members of the general public, and other researchers are welcome to come to the Museum to do research in our Library and Archives. More information about conducting research at the Museum is on our Plan a Research Visit page. 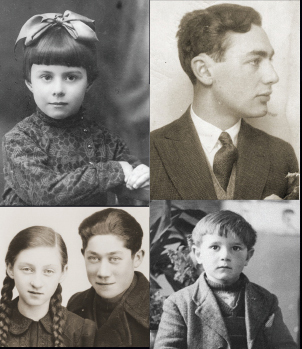 People wishing to do family history research should start with our Holocaust Survivors and Victims Resource Center.